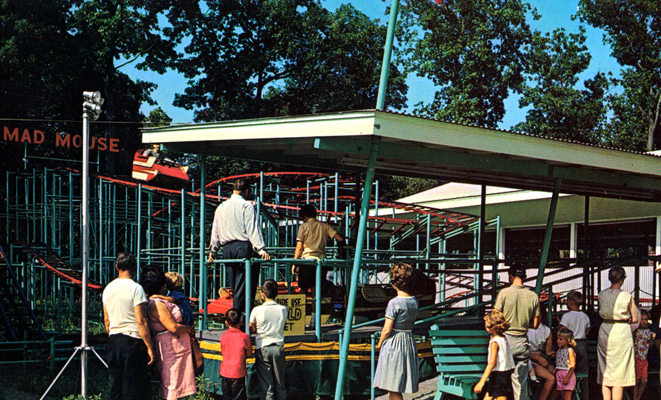 TITLE: "Swingin' Gym," Enchanted Forest Amusement Park, Chesterton, Indiana. 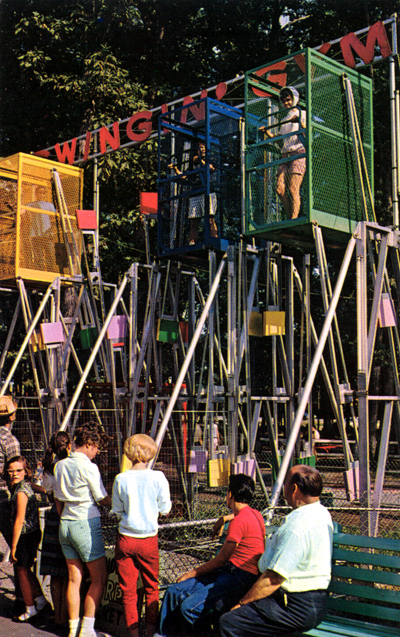 Patron Operated -- this colorful action ride is an exciting spectacle to watch -- even more thrilling to ride. 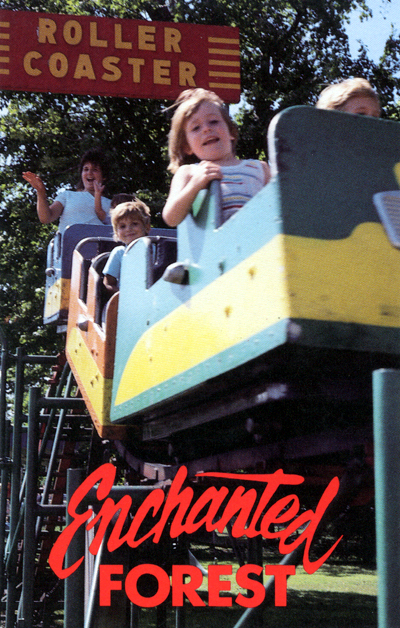 TITLE: Mad Mouse Roller Coaster, Enchanted Forest Amusement Park, Chesterton, Indiana. This thrilling ride with its loops, twists and turns is an exciting spectacle for both riders and spectators. 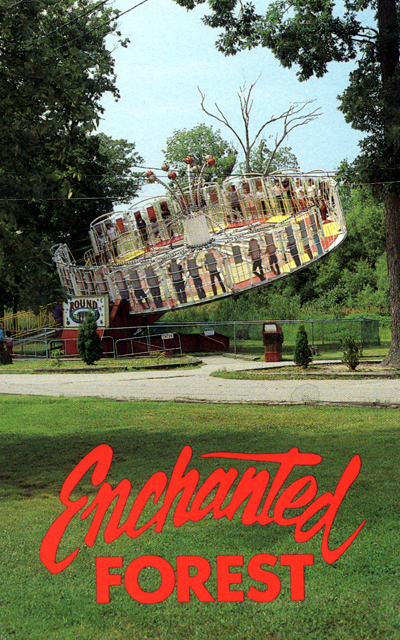 TITLE: Stage Show at the Enchanted Forest Open Air Theatre, Enchanted Forest Amusement Park, Chesterton, Indiana. 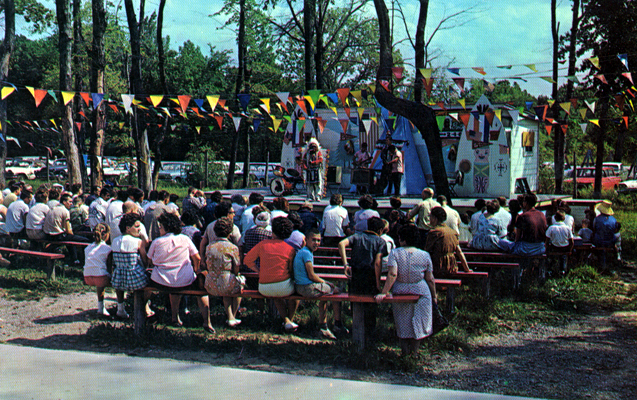 Each Sunday colorful stage shows are presented free to the patrons of the park. 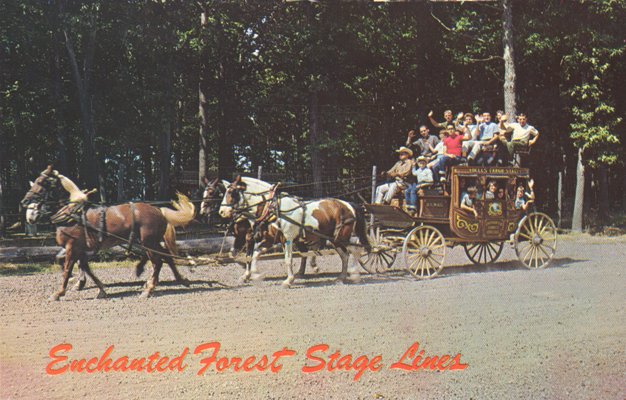 TITLE: Enchanted Forest Stage Lines, Enchanted Forest Amusement Park, Chesterton, Indiana. A true replica of the old stagecoach of the "Wild West." 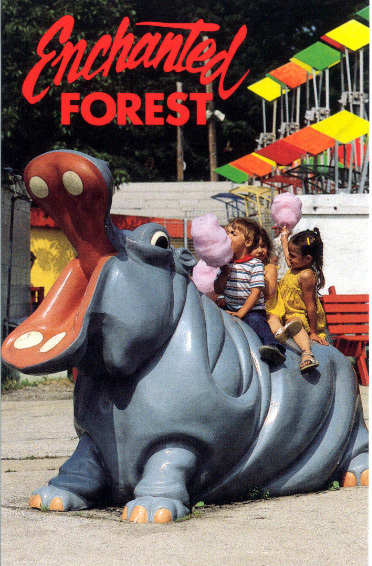 This is a thrilling ride for children of all ages. A scenic trip through the forest. 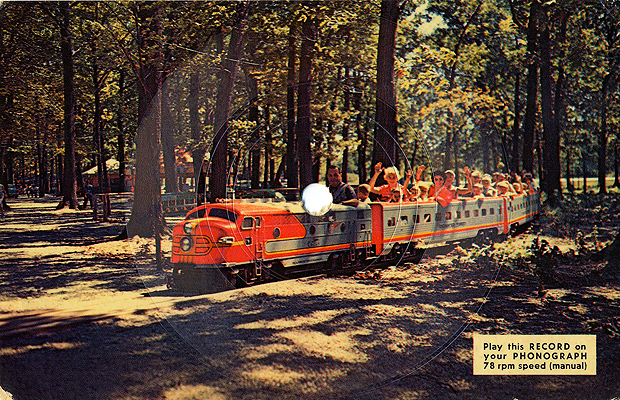 TITLE: Play this record on your phonograph 78 rpm speed (manual). 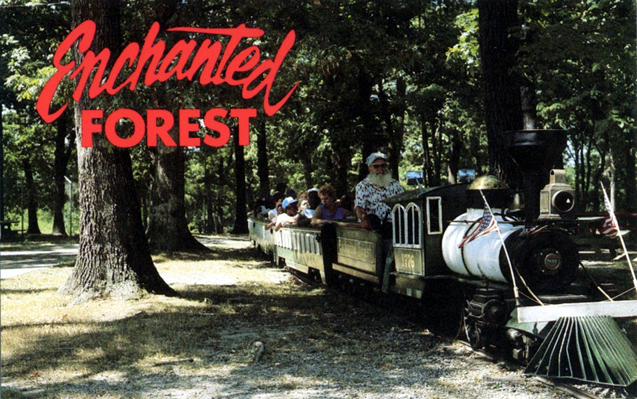 Enchanted Forest, Indiana. 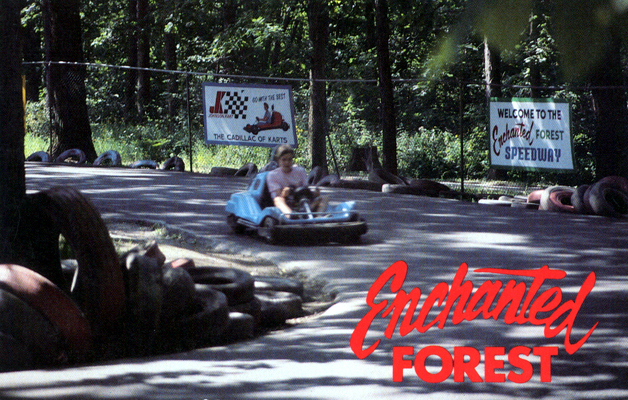 Indiana's most fabulous entertainment area, 34 acres of beautiful woodland, is located at Chesterton, 1/2 mile south of Indiana Dunes State Park on U.S. 20 Everything from rides 'n thrills to the quiet seclusion of forest picnic groves.